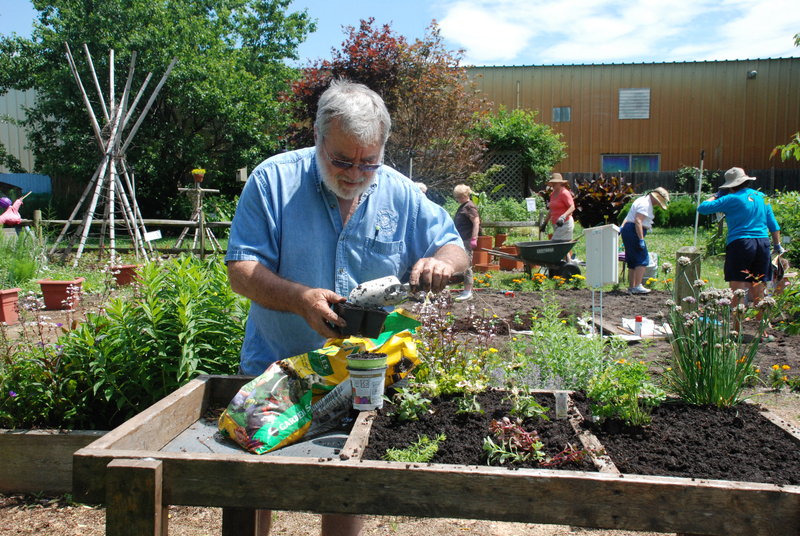 Master Gardeners volunteer time to spruce up the demonstration garden at the Carvel Center in Georgetown before the annual Open House July 13. 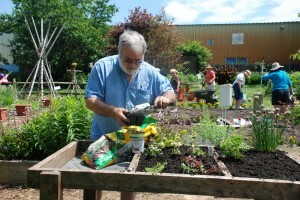 The Master Gardeners of Sussex County will host their annual Open House in the demonstration gardens behind the Carvel Center at 16483 County Seat Highway (Route 9) in Georgetown on Saturday, July 13, from 10 a.m. until 2 p.m. The event is free and open to the public. There will be activities for children, including a Peter Rabbit puppet show, as well as demonstrations on gardening and cooking tips for adults. Learn about pollinators and Bees! Master Gardeners will be available to answer questions and to provide information about the various sections of the garden that exhibit trees, shrub, perennials, annuals, and vegetables that do well in Delaware. Choose from a wide variety of plants at the plant sale. The public is invited to stroll through the paths that link special areas — a children’s garden, a sensory garden, an annual/perennial border, a native plant garden, a shade garden and more — or to sit on one of the benches and watch the insects and wildlife interact with the setting. Insect Safari (come hunting with us for the creatures that live in the back yard.) Bring your camera! Meet Mr. and Mrs. Turtle, courtesy of the Delaware Council of Wildlife Rehabilitators and Educators. 11 a.m. What are Invasive Plants and how do you control them? Noon Insect Safari- children and adults – bring your camera! Master Gardeners are members of the community who have received extensive training in order to extend the home garden outreach of Delaware Cooperative Extension. Information also is available online. Visit: http://extension.udel.edu/lawngarden/. View photos from the 2012 Open House below! Here are photos from the 2012 Open House!